Ruled by King Hamad bin Isa Al Khalifa since 1999, Bahrain is an absolute monarchy. In February and March 2011, Bahrain experienced peaceful protests followed by brutal government repression, leaving over 30 dead, mostly demonstrators or bystanders. Prominent opposition leaders were sentenced to lengthy jail terms. Over 40 Shiite mosques and other religious structures were damaged or demolished. A witch hunt followed against erstwhile protesters who faced dismissal from jobs or worse. The protesters called for political reform and equality for the majority Shia population of Bahrain, with many demanding the downfall of the ruling family. 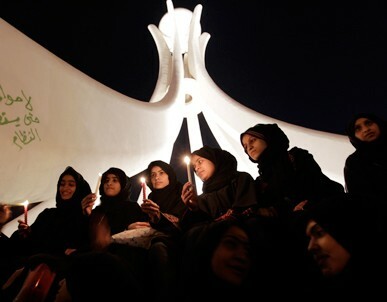 The protests found a focus at the Pearl Roundabout in the capital Manama, where a camp was set up. 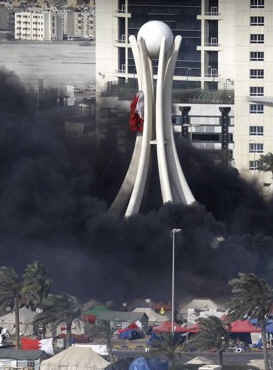 An early morning raid on the Pearl Roundabout by riot police on February 17, left a number of protesters dead and hundreds injured. On March 14, Gulf Cooperation Council troops (Bahrain, Kuwait, Oman, Qatar, Saudi Arabia, and United Arab Emirates) were invited into Bahrain by the government, a “State of National Security” was announced, and a crackdown against protestors began. 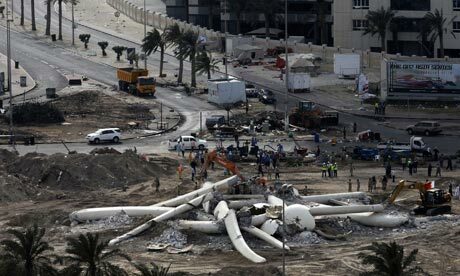 The Pearl Roundabout was attacked, cleared and the monument at its center razed. Although a tiny island nation located in the Persian Gulf, Bahrain is a key strategic outpost for the U.S. Navy. Bahrain’s naval ports are the home away from home for the U.S. Fifth Fleet, which — because of its proximity to Iraq, Iran, and Afghanistan — has played a more important role in the Iraq War than any other U.S. fleet in the world, and is also responsible for keeping oil shipping lanes in the Gulf secure. 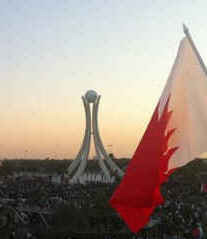 Bahrain's rocky road to reform: Popular protest in North Africa and the Middle East / International Crisis Group, 2011. Flawed reforms : Bahrain fails to achieve justice for protesters. (67 p.) London, England : Amnesty International, April 2012. In November 2011, the Bahrain Independent Commission of Inquiry (BICI) completed its investigation into human rights violations committed following the anti-government protests in February and March that year. The King of Bahrain promised full implementation of BICI's recommendations, and in March 2012 the government announced that implementation was completed. Amnesty International welcomes various positive steps taken by the government to improve the human rights situation in the country, but notes that some of BICI's key recommendations have not been addressed properly. Scores of activists continue to be imprisoned after being convicted by a military court in proceedings that fell short of international standards. Investigations into cases of police torture and killing of civilians have not been sufficiently thorough and have targeted only the rank-and-file of the police force; those who gave the orders have not been held accountable. This report documents these and other failures by the Bahrain authorities to fully implement BICI's recommendations and commit themselves to getting accountability and justice for victims. Weaponizing Tear Gas: Bahrain’s Unprecedented Use of Toxic Chemical Agents Against Civilians The Bahrain government’s indiscriminate use of tear gas as a weapon has resulted in the maiming, blinding, and even killing of civilian protesters and must stop at once while the government reassesses its use, PHR declares in a report by Physicians for Human Rights (PHR). PHR's Deputy Director Richard Sollom and co-author Holly Atkinson, MD, assistant professor of medicine at Mount Sinai School of Medicine and former president of PHR, interviewed more than 100 Bahraini citizens during their April investigation, including victims of civil rights violations, corroborating witnesses, civil society leaders, and government officials. Their 60-page report—Weaponizing Tear Gas: Bahrain’s Unprecedented Use of Toxic Chemical Agents Against Civilians—documents their findings, based on physical examinations and medical records. The Daily Beast answers six key questions about the uprising. Library Services During the Arab Spring : A Navigation of the ‘New Normal Environment’ in Bahrain [DOC] / Kayo Chang, 10/27/2011. 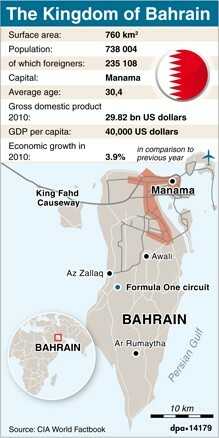 The events of February 2011 were a watershed moment for Bahrain. Those disturbances shook the country, and the government response to them established a new security situation, ‘the new normal environment,’ representing a new set of rules for public conduct. Among these, the most notable is the government’s reconsideration of policy towards online social media (such as Facebook and Twitter). Essential Readings: Bahrain: Origins of a Crisis / Sandy Russell Jones. Bahrain: Shouting in the dark - Programmes - Al Jazeera English The story of the Arab revolution that was abandoned by the Arabs, forsaken by the West and forgotten by the world. Special programme Last Modified: 27 Dec 2011.